safety with grade 80deflection min.f=0.8xd these sling chains are only available in welded finish.factor working load limit:proof test:breaking load=1:2.5:4(200:500:800 n/mm2).to achieve the consistent high level of quality and reliability of our productelectronically controlled chain making machines have been specially built and developed to provide advanced manufacturing processing. lhigh grade alloy steel are carefully chosen. lstrict control of material grade 80 chain specifications acceptance and processing is carried out by skilled persons. lsophisticated multi-process heat-treatment techniques have been developed. lnon-destructive testing systems are grade 80 chain used with magnetic crack detection (magna flux system), being applied during final inspection. lall accessories, such as hooks, connectors etc., are produced by special hot forging techniques carred out on modern forging hammers. lclose dimensional controls are carried out at all stages of manufacture. to ensure the chains have a high capcvity to absorb shock loadings, they are produced so that they will give a minimum. extension of 20% under a destruction test before fracture occurs. they are also subjected to sample bend testing. LIFTECH can supply products optimally suited to various conditions according tocustomers' needs. 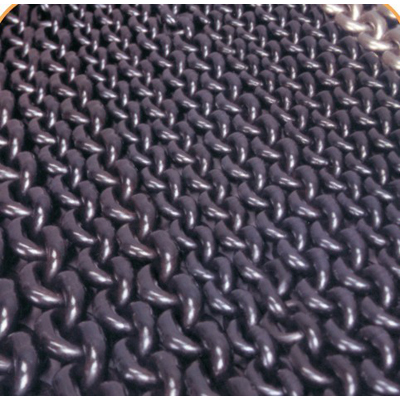 Load chain is designed and manufactures for superiorperformance and usage. It can easily withstand more abuse, abrasion resistance,greater load lifting per size and is lighter to handle for application. 5.Tougher andmore reliable for lifting application. 6.Fatiguetested at 1.5 times of working load limit.